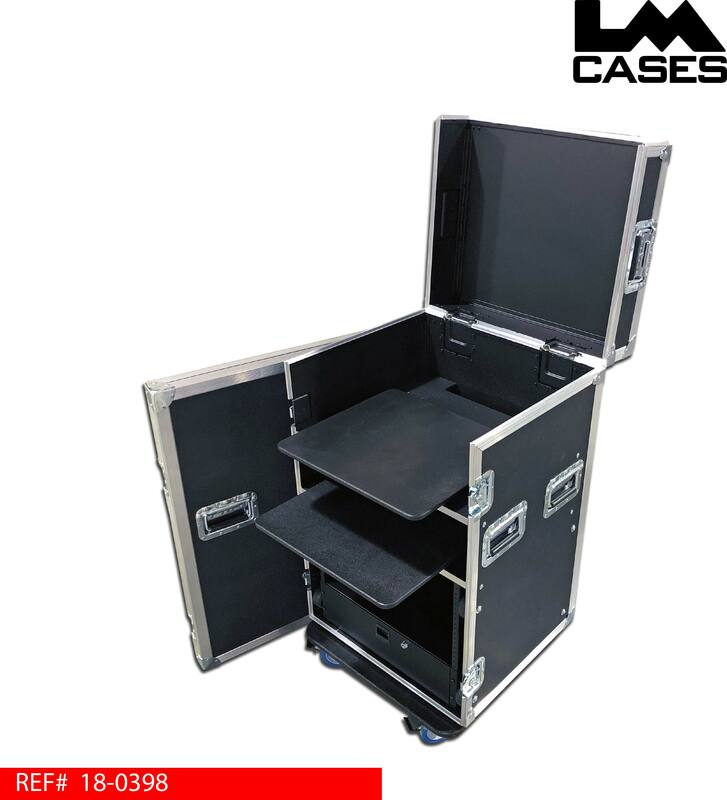 This case is designed to be a portable video fly pack workstation. 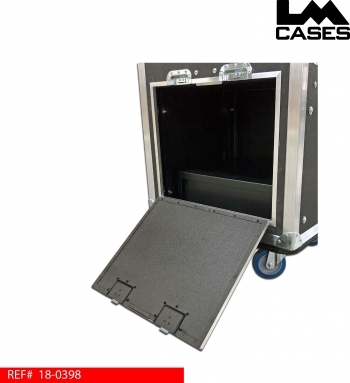 The case includes a Chief FTR1U tilting monitor mount allowing a monitor to be mounted in the case lid. 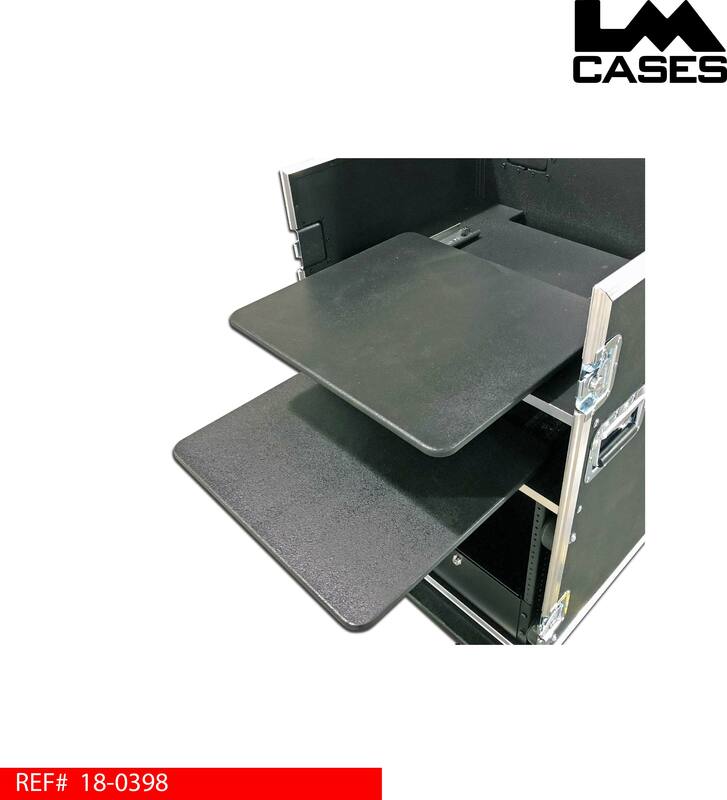 Also included are two slide out shelves to hold a laptop, audio mixer or a video switcher. Below the dual slide out shelf’s is a 9RU rack section. 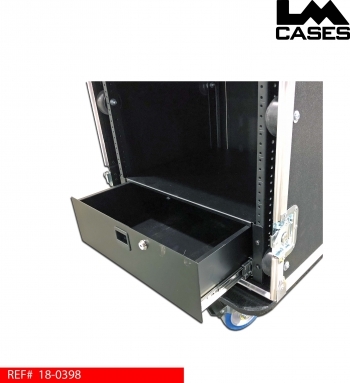 The rack rails are mounted to the case via rubber vibration isolation mounts. The rack section features rear rack rail and a trap door. 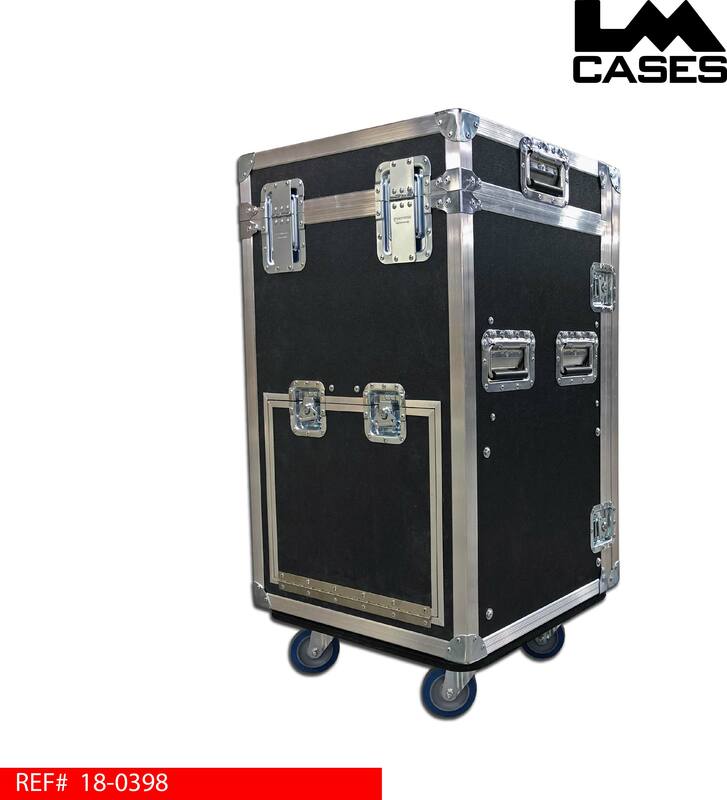 The case exterior is built out of 3/8” plywood laminated with your choice of ABS colors. The case features deep recessed hardware and rides on 4” Colson casters mounted on a ¾” caster board that spans the entire bottom of the case.